AH MITTY, WE HARDLY KNEW YOU! I hope you don’t mind my calling you Mitty? ‘Mitt’ sounds so stiff, so formal, just like the blood-sucking billionaire we used to read about. The venture capitalist vampire who sucked dry the lifeblood of a hundred soon-to-die companies. So, allow me to call you Mitty. If only because we slept together all those years. Hey, It’s not easy to woo and screw an entire state, but you made it look like child’s play. Swooping down on us. Climbing in our window. A lover who came in the dark and left before dawn. We can still feel the lingering kisses, Mitty, and recall the eager, sophomoric foreplay of your 1994 senatorial campaign, not to mention the SLAM-BAM-THANK YOU M’AM screw job you gave us before you left. Many of us recall that fourth year of your ONE-AND-ONLY term as governor, when you couldn’t find the interest to spend even half your days in the state. It was tough living with someone who was never around, Mitty. Clearly your love—if love it was—had fled somewhere else. Though your marriage was consummated in Massachusetts your heart was now committed to Washington, D.C.
And what about when you testified about Massachusetts’ liberals down in Washington, Mitty? These days, you castigate Obama for apologizing for America. You were still our governor and you were dissing us to a panel of senators as if Massachusetts and its citizens were some objectionable lab-bred culture. Hey Mitty, it’s not easy shifting your shape from a moderate’s to a conservative! The things you have to do, right? And so you left us; leaving your job as our top officeholder unfinished. 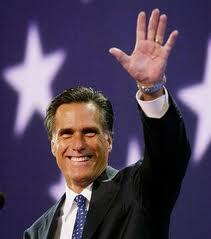 How many people can govern a state for three years and finish their mission, Mitty? There was so much you still could have done. You had already developed strong relationships with the legislature, knew how to get things done. But you heard another voice calling. Once again, desire was rising. Here within reach was another object of affection to woo and screw. A new siren’s call to chase after. I guess we should feel proud you left us for a bigger state. But not just any state, Mitty, or one state, but the entire United States of America! And if you don’t win them through election, whose to say you can’t buy them later? Well, anyway, let me end this before I start to sound bitter. Don’t want you thinking your abrupt rejection has left us sad or bitter. Other states might feel exploited or cheapened by your quick, loveless encounter, like a prostitute who feels undeserving of a goodbye kiss. But we always secretly knew you would love us and leave us. No hard feelings, Mitty, we were only looking for a cheap thrill ourselves. Your landscapers asked to be remembered. This entry was posted in american politics, Irony, Mitt Romney, satire on January 9, 2012 by Paul Steven Stone.